…and that He may send Jesus, the Christ appointed for you, whom heaven must receive until the period of restoration of all things about which God spoke by the mouth of His holy prophets from ancient time (Acts 3:20-21). We are going to consider a number of questions which come up around what Peter said in this passage. As always, I am not asking you to believe what I say just because I say it, but to take your questions to God with an open heart and mind, and see what He has to say to you about them. Is Jesus coming before, during or after the period of restoration of all things? All three, I would venture to suggest. He has already come, He is continually coming as He promised, where two or three are gathered, and He is going to come. So much of Christian expectation has focused on a future event which will change everything in a moment, and that event has usually been called the ‘second coming’ of Jesus. We are waiting for the ‘second coming’, and when that happens, then everything is going to be restored to how God wants it. However, it is not an event that is indicated here, but a period. When is the period of restoration? I have heard it suggested that we are in some special season now, in which it is possible for all things to be restored, and that this was not possible before. But there was one significant event in human history which made all kinds of things possible: the cross; the death, resurrection and ascension of Jesus. He took back everything Adam lost and restored it to us. We, though, have been very slow to realise and embrace the full extent of what He accomplished, or its implications. The early church did a great job of taking this message and filling the known world with it, but then it was hijacked by religion. During the dark ages much truth was forgotten and lost. Everything became a matter of religious observance or duty for most people rather than the relationship of intimacy that God always intended. God has been restoring that, so we can now embrace that truth and continue with the process of restoration which has been going on all that time. How far back does the restoration of all things reach? Back to what? Some will say, “We need to get back to the New Testament church. We need to get back to this amazing time when people were being added every day.” Others will say, ‘No, I want it to go back further. I want it to go back to the Garden. 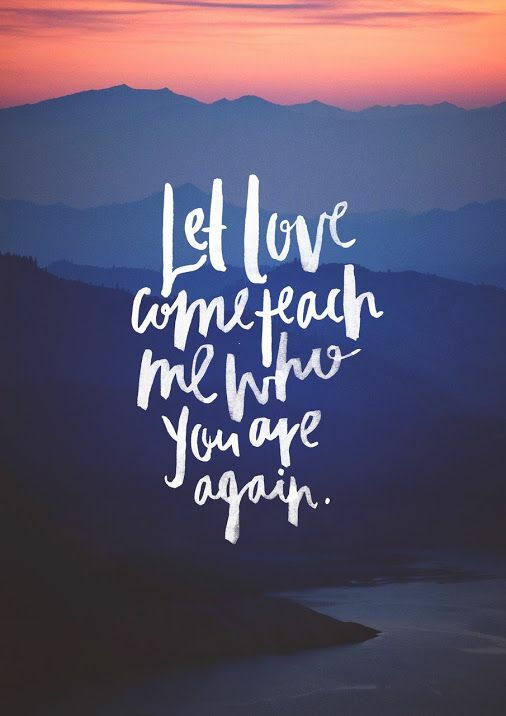 I want to go back to when Adam and Eve had this wonderful, intimate relationship with God, walking with Him in the cool of the day.” In reality, I believe God wants to go back even further than that, back to His original intent and purpose in creation. And that is not the end, just the beginning. Think of all that is possible, if we co-operate with God as sons from that point on: it is beyond the scope of our imagination to conceive of, because what we can imagine is restricted and filtered by our pre-existing religious ideas and what we presently see. But when we engage in God’s heart outside of what we can already see, then our minds can be expanded. We are supposed to have the mind of Christ, which certainly contains everything that was God’s original intention. When we start to have that mind, it has the potential to explode the limitations and restrictions on our thinking. In English, a dictionary definition of ‘restoration’ is: ‘the action of returning something to a former owner, place, or condition; the act or process of returning something to its earlier good condition or position”. When we read ‘former owner’ we tend to think ‘God’, but actually creation has been given to mankind, to us. The Hebrew word chadash means renew, repair, restore. Another Hebrew word, arukah, means restoration, recovery, repair, healing, health, perfected. The Greek word apokatastasis is made up of two parts, apo meaning from and katastasis, meaning first or original order. Apokatastasis: restoration, restitution, reestablishment, reconstitution. Properly, restore back to original standing, i.e. which existed before a fall; re-establish, returning back to the (ultimate) ideal. Figuratively, restore back to full freedom (the liberty of the original standing); to enjoy again, i.e. what was taken away by a destructive or life-dominating power. What are the ‘all things’? ‘All’ is a big word. The Greek word pas means the whole, every kind of, each and every part that applies; the emphasis is the total picture, made up of each of its elements, one piece at a time, viewing the whole in terms of all the individual parts. It is a little like making a jigsaw puzzle. You do not make the whole thing in one go, you have to place each piece in the correct position. Normally, people do that by looking at the picture on the box. And if we are to be involved in the restoration of all things, we need to look at ‘the picture on the box’ if you like, at what was God’s original intent and purpose. Then we can realise that God has been at work in this all along, restoring us from the position we have been in (and the image we have had of ourselves) back to the image that He has of us. And we, mankind, are only a part of the picture. If God is restoring everything back to His original intention, what else might He want restored? We know that all creation is groaning, waiting for the sons of God to be revealed. Are we only talking about the physical realm? Are there things – or creatures – in the heavenly realms which are not as He originally intended, and are they to be restored? Would we have a problem with that? If the concept of the restoration of all things does not stretch us, I wonder if we have really grasped it! Explore ‘The Restoration of All Things‘ at a deeper level. 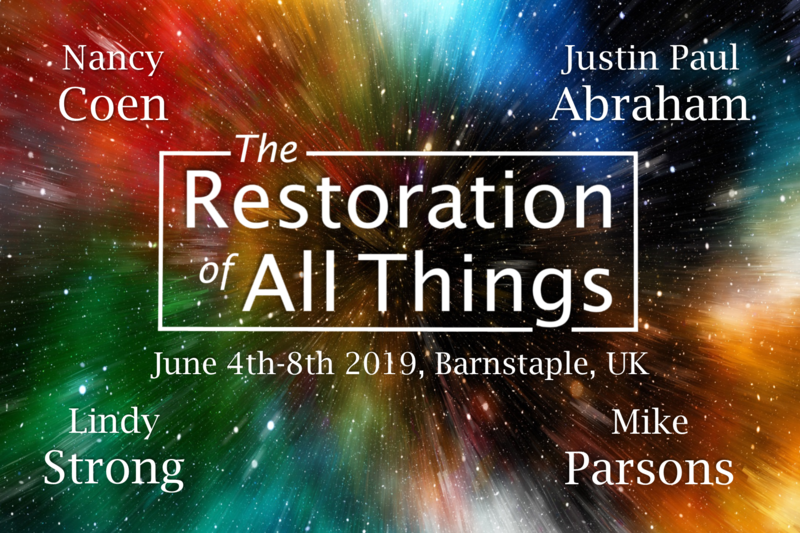 Join Mike and his guests Nancy Coen, Justin Paul Abraham and Lindy Strong for an intensive here in Barnstaple UK from 4-8 June 2019. But no one puts a patch of unshrunk cloth on an old garment; for the patch pulls away from the garment, and a worse tear results. Nor do people put new wine into old wineskins; otherwise the wineskins burst, and the wine pours out and the wineskins are ruined; but they put new wine into fresh wineskins, and both are preserved (Matt 9:16-17). In Jesus’ time and culture the old wineskins were not just thrown away but were renewed, restored and reconditioned to make them suitable to hold the new wine. They had invested a lot into those wineskins. God has invested a lot into the wineskin of church (ekklesia), and He is not just throwing it out. I hear a lot of people talking about a new wineskin which is not the ekklesia. I do not accept that. The ekklesia is still what Jesus is building; He has not changed His mind. It is still the blueprint that has come from heaven. By all means let’s throw out the old concept of what has become known as ‘church’, with any negative connotations and past experience of hurt and oppressive controlling authority. But since the manifold wisdom of God is to be displayed to the usurping powers and authorities through the ekklesia (Eph 3:10), we need to recognise that without it we are not likely to see the kingdom fill the earth. …you also, as living stones, are being built up as a spiritual house for a holy priesthood, to offer up spiritual sacrifices acceptable to God through Jesus Christ. But you are a chosen race, a royal priesthood, a holy nation, a people for God’s own possession, so that you may proclaim the excellencies of Him who has called you out of darkness into His marvellous light (1 Pet 2:5). All of us have a responsibility to be who God has called us to be, both individually and corporately. So a new order ekklesia will comprise people gathered together around a heavenly blueprint. It will function as a heavenly royal priesthood bringing agreement between heaven and earth. It will be built on a foundation of servant leaders, a heavenly foundation of the agreement of heaven’s oracles and a form and style of government which is a reflection of heaven on earth. It will demonstrate a heavenly pattern of government – bench of 3, bench of 7 and bench of 12. It will not be a copy of any other ekklesia but will be established from its own individual heavenly mandate and blueprint: this variety will demonstrate the manifold nature of God’s wisdom (Eph 3:10 again). The image at the head of this post incorporates a diagram of our blueprint here at Freedom, but we are far from a finished work! In any case, please don’t be drawn into trying to reproduce it where you are. Each ekklesia needs its own. Its shape will be flexible, continuously determined by the living stones who grow and mature as they outwork their destinies within it, and by living stones added and taken away. 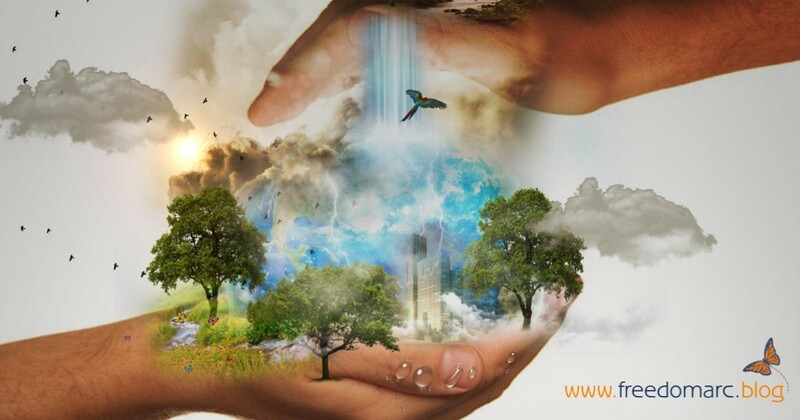 Its objective is to bring agreement between heaven and earth, to contribute to the restoration of all things to God’s original intent and purpose. Locally, we have been transitioning into such a new order ekklesia over a number of years. We are forerunners, and at times things can be very difficult but we know we are on a journey. Over the years we have produced several different, updated diagrams representing our blueprint, of which the one given here is just the latest, 2019 version. Does that mean that the blueprint has changed? I do not think so, rather it is that God has revealed (and that we have become aware of) different aspects of it over time. When I look back to our beginnings in 1994 and the revelation of Isaiah 61, a foundational scripture for us, my understanding of that now is totally different to what I understood then. The text is still the same, but God has progressively deepened and expanded the revelation of it which we have been able to receive; my perception of it has changed and so, I am sure, has everyone else’s in the ekklesia. Therefore we are not now doing exactly the same things we were doing in 1994, but we are still outworking that same scripture as we now interpret and express it. We did have a saying, back in those early days: ‘constant change is here to stay’. Little did we know how true (or how important) that was! The structure of our ekklesia is flexible, and it is the people who are part of it who determine what it will look like at any given moment. For example, our original seven mountains: who was it who got the blueprints for what those seven mountains were? It was not me; it was not the bench of three; we just had the revelation that we had seven mountains. It was the people who heard the call of God to those mountains, and those who rule on them will continue to determine what those mountains look like. And that flexibility is essential to the continuing growth and development of the mountains, because we will find others, and sub-mountains of each, again with different people determining what those are called and what they look like, finding their place as living stones and outworking their destiny in it. So although we have an overall blueprint which says ‘we are an ekklesia and we will be part of a city of refuge, an embassy of heaven’, the actual form it takes will be totally determined by those who are called to embrace it. And in ten years’ time, when new people have come along, embraced the vision and received revelation themselves, certainly they will see and express something new, and the shape of Freedom Church will look different then to what it is now. [April 2019: it already looks very different now to when this post was written 18 months ago!]. God always requires a new wineskin for new wine, but it is a constantly refurbished one, not something that did not exist before. God will carry on progressively releasing new wine of revelation, and the wineskin of the ekklesia has to remain flexible and be continually renewed if it is to receive it. We must never become rigid and set in our ways. So whatever we are doing now, I can guarantee that down the line we will be doing something different, because we will have received fresh revelation from God for that season. That is why the concept of being like the sons of Issachar is important: understanding that God operates according to times and seasons, and in each season we need to know what God is calling us to do and to receive the necessary provision from Him to accomplish it. An ekklesia of gathered people will live under an open heaven with angelic engagement. Jacob saw angels ascending and descending at a place he called ‘Bethel’, saying it was a house of God and a gateway of heaven. Individually and corporately we are all ‘Bethels’ into the earth. Each of us is always a representative or ambassador of the ekklesia 24/7, not only when we are meeting physically in the same location. We do not ‘go to church’, we are church. Our whole lives are an expression of being a house of God, an ekklesia. But when we do come together, that is multiplied exponentially. We need to understand what it is to be built together as living stones, joined in love to fulfil God’s purpose. An ekklesia both individually and corporately is a shadow of what is established in heaven. You have to have something with a light shining on it to produce a shadow on the far side of it. So we must be in heaven in order to cast a shadow on the earth. If we do not live in heaven there can be no shadow on the earth. I used to go into heaven, try to produce a shadow on the earth, and then come back out of heaven and occupy that shadow. The trouble was that the shadow no longer existed because I was not in heaven any more. That is why we have to learn to live in dual realms of heaven and earth at the same time; things on the earth will change dramatically when we do. Here, we are developing into a resource for the local community as we expand our work and influence through Freedom Community Alliance. I believe that eventually every ekklesia will be a city of refuge, an embassy of heaven, either in itself or as part of something larger in its city, area or region. That will be a full reflection of heaven’s government, with the mountain of the house of the Lord raised up above all the other mountains as we are an expression of God’s household, God’s kingdom, God’s authority on the earth. All the nations will run to it. Engaging God on the Heavenly Pathways of Relationship and Responsibility is our online school for equipping a Joshua Generation of supernatural sons of God to live according to the order of Melchizedek, functioning in the dual realms of heaven and earth. Whenever God does something new, it challenges what already exists, because we are so familiar with the old ways of thinking and doing things. When Jesus came defying all the religious norms, He was rejected by the religious people and institutions of His time. He brought a radical new perspective, completely reinterpreting Old Testament scripture and revealing the truth behind it. He said things like “the sabbath was made for man, not man for the sabbath”, turning the external law on its head, making it into something that was to be used for people rather than to control or restrict them. Religion is all about keeping people restricted and under control, so this was never going to go down well with the religious elite. They quickly decided to do away with Him because they realised that the future of the whole religious system they depended on was under threat. In the Sermon on the Mount, again and again He said “You have heard that it was said… but I say to you…”, shifting the focus from external religious observance to what really goes on in our hearts. True, He did not come to abolish the Law and the Prophets, He came to fulfil them – but in a totally unexpected way, in the context of relationship – love – rather than in legalism and religious duty. For religious people, brought up to keep every little rule and regulation, to be told that the most important thing was to love the Lord with all their heart, soul, mind and strength cut to the heart of everything they had ever known. His new values and new ideals of the kingdom challenged all those external legalistic perspectives. This was a revolution of love, where the King came to serve and not be served, demonstrating an entirely new model of leadership and authority which had nothing to do with hierarchy and control. Jesus gave the Pharisees, Sadducees and Teachers of the Law every opportunity to lay their preconceived notions aside and follow Him, yet most of them could not get past being offended and threatened by His demolition of the foundations of their world. Ultimately, those religious structures were swept away in AD70, and those who were determined to defend them met with a violent end at the hands of the Roman army. It cost them their lives, whilst those who had embraced the new and become disciples heeded Jesus’ warning and left the city. The old order was coming to an end. There was to be something new, something different from the old religious ritual of bringing sacrifices into the Temple. This issue of new wineskins for new wine is one we have touched on before and need to be continually aware of because in the religious mindset there is a deep-seated tendency to revert to the old wineskin. The Old Covenant wineskin was one temple, in one city, in one nation; one king, one earthly priesthood from one tribe (Levites) and one High Priest from one family (Aaron’s). Such a mediatorial system prevents people accessing God for themselves: only the priests could enter the tabernacle and only the High Priest could go into the Holy of Holies, and that only once a year. It encourages a ‘top-down’ model of leadership which is the exact opposite of Jesus’ own servant-hearted example. This is still operating today wherever we see division into clergy and laity, and in a more subtle form where family members inherit religious positions from generation to generation. If people are artificially restricted, it will hinder them from fulfilling their destiny. One person in the Old Testament caught a glimpse of the new, and as a forerunner he adopted it ahead of time, at least for a while. In David’s tabernacle there was open access to the arc of the covenant and the Presence of God in worship, and when you read what they did in those days it is an amazing thing when you consider what the Law prescribed. I have never really understood how they could go back to putting God in a box – perhaps it is proof of the strength of that religious mindset again – but the fact is, they soon reverted to the cycle of sacrifice and ritual in a brand new temple. In the new covenant, we are all heavenly royal priests. Every individual one of us is a new wineskin, a house of God and a gateway of heaven. We operate from heaven, and we are the nation, city and temple. God is in us and we are in Him. In the old covenant the Holy Spirit came upon prophets, priests and kings but now He dwells within us. We all have access as priests of the heavenly order of Melchizedek, not of an earthly Aaronic order: when the old covenant was made obsolete all the former priestly functions and roles came to an end with it. Each of us has a destiny, an earthly and a heavenly outworking of God’s kingdom and His government. Every one of us is a reflection of the four faces of God, the kingly, prophetic, priestly and apostolic, expressed and outworked in the proportions appropriate to fulfilling that destiny. We are a new wineskin in a corporate sense too. Individuals can come together around a heavenly blueprint as living stones, being built up together on a foundation that reflects heaven’s government: foundational servant leadership which releases people into their destiny rather than imposing mediatorial coverings, restricting access to God and to the realms of heaven. …having been built on the foundation of the apostles and prophets, Christ Jesus Himself being the capstone (Eph 2:20). “I also say to you that you are Peter, and upon this rock I will build My church [ekklesia]; and the gates of Hades will not overpower it. I will give you the keys of the kingdom of heaven; and whatever you bind on earth shall have been bound in heaven, and whatever you loose on earth shall have been loosed in heaven” (Matt 16:18-19). I increasingly use the Greek word ‘ekklesia’ because the English word ‘church’ carries so much baggage in our thinking. The structures and institutions of what is known as ‘church’ are mainly man-made constructions based on old wineskins. They tend to look like the old covenant rather than the new. And this is not just a side-swipe at established denominations and streams – even in independent churches like Freedom we have done the same in the past: none of us knew any better. Today Jesus is building His ekklesia with living stones of all shapes and sizes. Therefore all local ekklesias will be different, depending on the living stones built into it using the blueprint God gives. We cannot produce a formula or a template which we just duplicate. In the next post we will look at the characteristics of a new order ekklesia, but for now let’s just agree on this: anything which does not have a foundation which is a reflection of what is in heaven is an old wineskin. Please understand that, as we said before, He is always the same, faithful and full of lovingkindness, and He has never changed. But when we engage Him intimately, He reveals Himself in continually new, surprising and sometimes even shocking ways. God is revealing new things in our day, yet often we try to cling on to what is old, comfortable and familiar, just like the children of Israel did in the wilderness. Old forms of church wineskin, church government, ministry, prayer, evangelism, doctrine and theology are all being challenged by new, fresh revelation of truth. Have you ever stopped to question how much of what we believe is because we have always believed it, based on what someone else has taught us, or from a religious construct, doctrine or theology? How much is derived from or influenced by our particular culture and society? And finally, how much is actually from revelation, coming out of our direct personal experience of relationship with God Himself? In short, how much are we ‘leaning to our own understanding’? The Joshua Generation are forerunners of the new. We are finding a new level of experiential relationship with God, a new level of communication with Him, new ability to hear and see what He reveals. We are finding out what it means to have the mind of Christ! God is calling us to let go of the old and embrace the new: new mindsets and new paradigms, new worldviews. We must not be surprised if we encounter great resistance to change, and not only from the quarters we might expect it. Certainly some people in the old established churches will oppose what God is doing, but the greater resistance will likely come from more recent moves of God which have settled into maintenance mode. Even within ourselves, we may struggle to overcome the comfortable inertia of wanting to keep things the way they are. We experienced some of this within the church here: for a while the old pastoral form of church government steadfastly opposed and resisted the new heavenly apostolic order. We discovered just how deeply some of these things are ingrained into our thinking and practice. But eventually we made an individual and corporate decision to step into the new. “… The dynamic of our strategy is revealed in God’s ability to disengage mindsets and perceptions that have held people captive in pseudo fortresses for centuries! Every lofty idea and argument positioned against the knowledge of God is cast down and exposed to be a mere invention of our own imagination” (2 Cor 10:5-6 Mirror Bible). “You have been invited to know the real Me, so that you can be forerunners of the glory presence”. If He is inviting us to get to know the real God, what God did we think we knew? Is it possible that we have been seeing and presenting a false image of Him all this time? If so, we have only been introducing new believers to the same false image we have been worshipping. And if the world has rejected that image of God (and often, it has), then what might happen when we present the true nature of God, when we ‘show and tell’ what He is really like? We need to meet Him and experience Him for ourselves. Then what we are offering people will not be some theoretical, theological perspective and doctrine, but a real relationship with a living God. And that is what the world needs; like us it needs to meet the real God, not the image that has been painted of Him up to now. Jesus is the radiance of God’s glory and the exact representation of His being. “Jesus is the crescendo of God’s conversation; he gives context and content to the authentic thought. Everything that God had in mind for mankind is voiced in him. Jesus is God’s language. He is the radiant and flawless expression of the person and intent of God. He mirrors God’s character and exhibits his every attribute in human form. He is the voice of God announcing our redeemed innocence. This voice is the dynamic that sustains the entire cosmos. He is the force of the universe upholding everything that exists as the executive authority of God, enthroned in the boundless measure of his majesty” (Heb 1:3 Mirror Bible). He declared, “If you have seen me, you have seen the Father”. As Mirror Bible translator Francois Du Toit says, “the best translation would always be the incarnation”. So Jesus has to be the lens through which we both see and project what God is really like. As ‘forerunners of the glory presence’, we must get to know that presence by our own experience. The glory is the glory of the true God, not some dim, fractured, distorted image of Him. The principle is that we will be transformed into what we behold: if we see God as angry and vengeful, looking for every opportunity to pounce on us and strike us down when we get out of line, then we will display the same traits ourselves. So even as we look to unmask what Brad Jersak calls ‘the toxic representations of God’ so prevalent in the traditional church (and therefore in secular western society), we have to be careful to operate in love towards those we enter into discussion with. We can only do this if we are beholding the real God. The leaven of the Pharisees and Herod is still working its way through the lump: religious and political spirits love dispute. By seeing and revealing the truth and operating in love we can help people to engage God themselves rather than feeling they have to engage in argument. When Joshua led Israel into the Promised Land, there was first of all a time of consecration. Alongside new experiences, new thinking and new levels and patterns of authority, we must display new levels of openness, honesty, sincerity, honour, respect and commitment. The old, the comfortable and the familiar have to be left behind when God brings us into a new day. If we are to receive all that God has for us we will need to let go of those old familiar ways because they will no longer be effective. Two and a half tribes elected to forego their inheritance in the Promised Land. We are not to be tethered to the past: old ways must not become idols we will not abandon. So what are your pet doctrines, ideologies, methods and other sacred cows? Are you willing to meet God as He really is and ask Him to expose, remove and replace them? My Journey Into Atheism – Christa Black Gifford (author of the song ‘One Thing Remains’). Don’t be put off by the title! …for through Him we both have our access in one Spirit to the Father (Ephesians 2:18). Our destiny is to have access to heaven, where the Father is, and to have relationship with Him. So then you are no longer strangers and aliens, but you are fellow citizens with the saints, and are of God’s household, having been built on the foundation of the apostles and prophets, Christ Jesus Himself being the corner stone, in whom the whole building, being fitted together, is growing into a holy temple in the Lord, in whom you also are being built together into a dwelling of God in the Spirit (Eph 2:19-22). We are to be fellow-citizens with all those who have gone before us, that cloud of witnesses in heaven. Like them, we are citizens of heaven, but we are also ambassadors of heaven, representing heaven here on the earth. Both corporately and individually we are a temple of God’s presence, with the Presence of God dwelling in and among us. …which in other generations was not made known to the sons of men, as it has now been revealed to His holy apostles and prophets in the Spirit (Eph 3:5). God is revealing a heavenly blueprint to apostles and prophets in this generation so that a reflection of heaven can be established on the earth. That is what we at Freedom are called to do (it is why we are an apostolic resource centre: we are to bring that heavenly blueprint into people’s hearts and lives on earth), but this is not only for us – reflecting heaven is what all God’s people are called to do. …and to bring to light what is the administration of the mystery which for ages has been hidden in God who created all things; so that the manifold wisdom of God might now be made known through the church to the rulers and the authorities in the heavenly places. This was in accordance with the eternal purpose which He carried out in Christ Jesus our Lord (Eph 3:9-11). The manifold wisdom of God is like a multi-faceted, multi-coloured gem, which we will spend eternity looking into without ever beginning to grasp its fullness. But it is our role to represent that manifold wisdom in creation and bring the heavenly places, the atmosphere of the earth, back into order. We are to manifest God’s power, God’s wisdom, God’s glory in these realms: that has always been His intention, His ‘eternal purpose’. He is giving us an opportunity in this generation to be involved in something which sums up all the ages, which brings everything to a conclusion and sees Jesus return. I… implore you to walk in a manner worthy of the calling with which you have been called, with all humility and gentleness, with patience, showing tolerance for one another in love, being diligent to preserve the unity of the Spirit in the bond of peace (Eph 4:1-3). We are called to demonstrate heaven on earth, to walk in a manner worthy of our destiny: one heart, one mind, one purpose. If relational, corporate unity was easy, Paul would not be making such a big deal of it. We rub each other up the wrong way, and we cause each other problems, but God is calling us to work it out with each other in relationship. And sometimes, as our friend Mike Bryant is fond of saying, we just have to get over ourselves. Jesus described it as being gentle and humble in heart, just as He demonstrated (see Matt 11:28). True humility is accepting our identity, accepting our calling and our destiny, not being fearful, and working it all out in our daily lives for the benefit of the world around us. But to each one of us grace was given according to the measure of Christ’s gift (Eph 4:7). Every one of us has been given grace: the divine ability to outwork who He called us to be. No-one is left out of that. Each person is able to do what Christ has called us to do. We are all individually called to play our part. And He gave some as apostles, and some as prophets, and some as evangelists, and some as pastors and teachers, for the equipping of the saints for the work of service, to the building up of the body of Christ; until we all attain to the unity of the faith, and of the knowledge of the Son of God, to a mature man, to the measure of the stature which belongs to the fullness of Christ (Eph 4:11-13). Those ministries are there to equip us to fulfil our destinies (not to rule over or lord it over us). We need to grow and become who we are supposed to be as sons of God, and as we individually come to maturity, so the church will come to maturity. We are to be like Him, conformed to His image, to the ‘measure of the stature which belongs to the fullness of Christ’. …but speaking the truth in love, we are to grow up in all aspects into Him who is the head, even Christ, from whom the whole body, being fitted and held together by what every joint supplies, according to the proper working of each individual part, causes the growth of the body for the building up of itself in love (Eph 4:15-16). Those joints are our relationships, our connections in the kingdom, in the Spirit. If one of us does not fulfil our destiny and our calling, then we are lacking something. It is like someone who is missing a body part: they can find ways of getting around their disability, sometimes in quite inspirational fashion, but it is not ideal. When we all do our bit, the body will function properly. And each church, each congregation or ekklesia, has a destiny of their own to fulfil, and a redemptive gift to work out. …for you were formerly darkness, but now you are Light in the Lord; walk as children of Light (for the fruit of the Light consists in all goodness and righteousness and truth) (Eph 5:8-9). Jesus was the light of the world; but now He is calling us to be the light of the world. There is a glorified, shining light within us which we can manifest (something which most of us have never realised but are beginning to reach for in these days). We cannot hide that light, it must shine out of us. Therefore be careful how you walk, not as unwise men but as wise, making the most of your time, because the days are evil. So then do not be foolish, but understand what the will of the Lord is (Eph 5:15-17). We do not have time to waste. God wants us to use out time carefully to outwork His will. …that He might present to Himself the church in all her glory, having no spot or wrinkle or any such thing; but that she would be holy and blameless (Eph 5:27). When I look around (or in a mirror) there are a few spots, a few wrinkles! We are a work in progress, in a process which is ongoing. God still has work to do to get us the way He wants us, both individually and corporately. 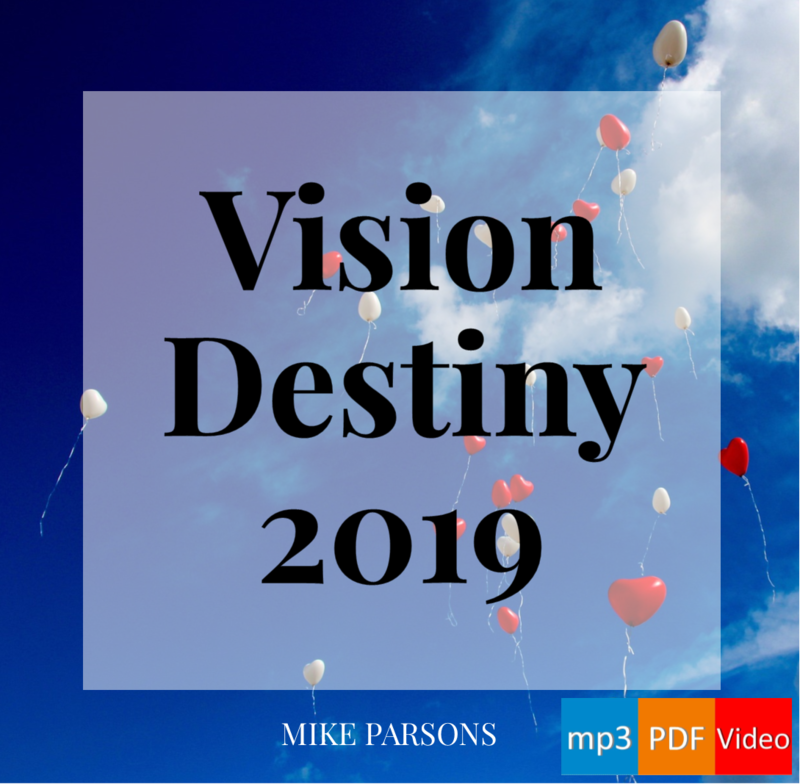 Destiny: Identity mp3 audio teaching series by Mike Parsons (this post has again been drawn from material in session 1). Seven messages by Mike Parsons delivered at Freedom Church in January and February 2016. A review of 2015 and what to expect in 2016. Digital download (mp3 and PDF) with links to streaming YouTube videos. Click here to stream or download – absolutely free! More recent free Vision Destiny series are also available from our website. Pray, then, in this way… ‘Your kingdom come. Your will be done, On earth as it is in heaven’ (Matt 6: 9-10). And we are citizens of that heavenly kingdom. And He is the radiance of His glory and the exact representation of His nature, and upholds all things by the word of His power. When He had made purification of sins, He sat down at the right hand of the Majesty on high (Heb 1:3). Jesus is the exact representation of God and we are ambassadors of Jesus, conformed to His image (see Rom 8:29). Ambassadors have an honoured position, which carries responsibility. Jesus said, “He who has seen me has seen the Father”. Make no mistake, the world sees us as personal representatives of Jesus Christ in every situation. People will base their opinion of God on what they see in us. For the mouth speaks out of that which fills the heart (Matt. 12:34). Our speech should mark us out as different. If we listen to what is coming out of our mouth, day by day, week by week, we will see what fills our heart. We want our hearts to be filled with God, with His word, His truth and His life, so that when we speak, we speak words of truth and life. By what we say, people should be able to realise that we are followers of Christ. Our words should come with authority and resonate with righteousness. Words can be extremely powerful: God created (and sustains) the whole universe with words. But speaking the words of God is not enough: our deeds and our words much match up, demonstrating the kingdom as Jesus did. For our [preaching of the] glad tidings (the Gospel) came to you not only in word, but also in [its own inherent] power and in the Holy Spirit and with great conviction and absolute certainty [on our part]. You know what kind of men we proved [ourselves] to be among you for your good (1 Thess 1:5 AMP). This may involve more than just meeting people’s spiritual needs. Jesus healed the sick and fed the hungry, and He did so supernaturally. We need to learn to supernaturally meet people’s physical needs as well. As ambassadors, we are representatives of another culture, another way of life. We must function as servants or stewards, faithfully representing our country (heaven), practising hospitality, courtesy and graciousness. We will demonstrate love to one another, because God is love. Since Jesus, our Lord and Teacher, washed his disciples’ feet, we also ought to wash one another’s feet. We will be devoted to one another in brotherly love; giving preference to one another in honour; not lagging behind in diligence, fervent in spirit, serving the Lord; rejoicing in hope, persevering in tribulation, devoted to prayer, contributing to the needs of the saints, practising hospitality. We will bless those who persecute us; bless and not curse. We will rejoice with those who rejoice, and weep with those who weep. We will be of the same mind toward one another; not haughty in mind, but associating with the lowly, and not wise in our own estimation. We will never pay back evil for evil to anyone, and will respect what is right in the sight of all men. If possible, so far as it depends on us, we will be at peace with all men. We will pursue the things which make for peace and the building up of one another, accepting one another just as Christ also accepted us, to the glory of God, so that there may be no division in the body, but that the members may have the same care for one another. We will not judge one another any more, and will not put an obstacle or a stumbling block in a brother’s way. We will put on a heart of compassion, kindness, humility, gentleness and patience; bearing with one another, being kind to one another, tender-hearted, forgiving each other, just as God in Christ also has forgiven us, with all humility and gentleness, with patience, showing tolerance for one another in love. We will maintain the same love, united in spirit, intent on one purpose, doing nothing from selfishness or empty conceit, but with humility of mind regarding one another as more important than ourselves. We will encourage one another and build up one another, live in peace with one another, and see that no one repays another with evil for evil, but that we always seek after that which is good for one another and for all people. And let us consider how to stimulate one another to love and good deeds, not forsaking our own assembling together, as is the habit of some, but encouraging one another; and all the more as we see the day drawing near. We will confess our sins to one another, and pray for one another so that we may be healed, because the effective prayer of a righteous man can accomplish much. As we walk in the Light, as God Himself is in the Light, we have fellowship with one another, and the blood of Jesus His Son cleanses us from all sin. Above all, we will keep fervent in our love for one another, because love covers a multitude of sins, being hospitable to one another without complaint. As each one has received a special gift, we will employ it in serving one another as good stewards of the manifold grace of God. For we were called to freedom, and we will not turn our freedom into an opportunity for the flesh, but through love we will serve one another, bearing one another’s burdens, and thereby fulfilling the law of Christ. That is the manifesto of love right there. If we truly lived that way, the world could not help but take notice. A new commandment I give to you, that you love one another, even as I have loved you, that you also love one another. By this all men will know that you are My disciples, if you have love for one another (John 13: 34-35). Let us be transformed from the inside out, and become faithful ambassadors of Christ, seeking to reconcile all men to God, embodying the message of Good News which we carry; bringing heaven to earth. Note: If you hover over each phrase in the ‘manifesto’ above, you’ll see a link to the Bible reference for that statement. Ambassadors Of Heaven 2012 YouTube video (session 1 only) and mp3 audio teaching series by Mike Parsons (this post has been drawn from material in sessions 5 and 6).